With new energy and greater numbers, we rebounded quickly from the initial setback. Sheila was now on board, with a keen mind and indefatigable energy that would make all the difference. And a group had galvanized around us. I have always been impressed with the caliber of intelligent, honest, and hard-working people that Ananda attracts. The community operates by consensus, made clear to me in the way the community handled the lawsuit. The “legal team” now expanded into three tiers. There was a small group of close disciples who, together with Kri­yananda, reviewed all events, discussed game plans, and made the decisions, usu­ally following consultation with Sheila and myself. There was also a core group of workers, including Sheila, Cathy, Keshava, and I, who did the heavy legal lifting: preparing and responding to the motions, drafting and reviewing discovery, and otherwise pushing the juggernaut of federal litigation. We were assisted as need arose by a seemingly endless throng of members and supporters who contributed endless hours of time, often late into the night, copying, compiling, and delivering materials. Every one played an important role. Back in the 1960s Kriyananda had joined with poets Allen Ginsberg and Gary Snyder to purchase 72 acres of land located in the northern reaches of the Sierra Nevada gold country. For Kriyananda it was a bold first step to establish a spiritual community, a World Brotherhood Community, based on Yogananda’s teachings. But once he bought the land, the mortgage had to be paid, and Kriyananda had to continue traveling on the road, to magnetize students and raise funds. Swami Yogananda left Boston in November 1923 and headed west from Philadel­phia that next July. A month later found him lecturing in Denver. By early September he was giving classes in Seattle. After a three-week cruise to Alaska he started down the coast, and by January 1925 had settled in Los Angeles. He soon found the ideal prop­erty for an international headquarters; the old Mt. Washington Hotel sitting 980 feet above Los Angeles and offering breathtaking views from the mountains to the sea. The hotel was only fifteen years old, but had fallen on hard times. Yogananda put together the right team, and within months dedicated the hotel and some surrounding parcels as the Mount Washington Educational Estates. The property was heavily mortgaged. To pay for the purchase and the operation of the ashram, Yogananda immediately set off on the first of many lecture “campaigns” to spread the teachings and raise funds. This non-stop circuit from city to city kept Yoga­nanda so busy back East that he did not spend a Christmas at Mt. Washington until 1929. During those years the membership would receive a series of pleas for assistance as each loan payment came due. Many times the loan verged on default and foreclo­sure, but Yogananda always managed to make things happen. Kriyananda could make things happen. By virtue of his personal energy, lec­tures, and fundraising, Ananda was able to put down roots and grow. Before setting eyes on the Village, I had read about it. The Ananda community consists largely of individuals, couples, and small families who live a simple life of “plain living and high thinking.” At first the community members lived in tents, tepees, and yurts. These gave way to geodesic domes, and then to more conventional, but still owner-built, lathe and plaster construction. During these years, Ananda came to be recognized as an exemplar of “intentional communities.” It was the subject of both scholarly and popular books, perhaps the most famous being Ananda: Where Yoga Lives by John Ball, the award-winning author of In the Heat of the Night. A disastrous forest fire in 1976 destroyed most of the residences and other buildings that had been con­structed with such loving sweat. This catastrophe weeded out the less committed, and the community that remained grew back stronger and more vibrant. It was one of the first crises that helped define what Ananda was to become. Although negli­gence by a Nevada County employee using County equipment caused the fire, and several other landowners had obtained settlements to cover their damages, Ananda decided on principle not to take the County’s money. Something different was hap­pening here. From the beginning Ananda was a protean idea, changing with the times and with Kriyananda’s evolving understanding of his mission. From 1967–69 the prop­erty consisted of only seventy-five undeveloped acres, now called the Meditation Retreat. In those days the hills around Ananda attracted a wide variety of peo­ple seeking alternative lifestyles. Most were more tolerant than religious, and Kri­yananda himself attracted both the curious and the committed. A few described the connections they felt with him in terms of past lives. Some looked for a teacher, a life’s guide, or a source of insight for their own journey. In the beginning this com­mune community was nothing like the Village I saw in 1990. And Kriyananda was often on the road in those early years, making the dream happen. His lectures brought in more than money. Attending one of Kriyananda’s first series of classes in San Francisco in 1967, John (“Jyotish”) Novak learned how to meditate. He soon approached Kriyananda and offered to be his personal assistant. Jyotish and his wife, Devi, now head Ananda Sangha Worldwide, the international teaching ministry of Ananda. The story of Ananda in those early days is the collec­tive experience of the individuals who lived it. It changed as they did. And each per­son related to Kriyananda as suited them at that time. 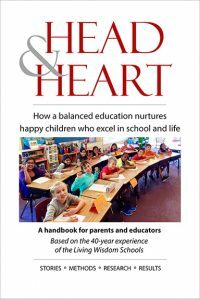 There were no house rules to follow, no regimented roles with a resulting set of duties and expectations. Kri­yananda himself changed over the years as more came to be needed and expected of him, and by 1990 he was the pillar of the Ananda community. Something different happening all the time. Now that included the lawsuit. “Discovery” is a word that packs a lot of meaning. It refers to the exchange of information by which the parties find out what evidence the other side has, prepare their case for trial, and evaluate the pros and cons of settlement. It includes written questions to the other side (“interrogatories”), requests for copies of documents or the right to examine them (“requests for documents”), requests that the other side agree that certain facts are true (“requests for admissions”), and the opportunity to ask witnesses questions under oath, in a live session across a table (“depositions”). Each form of discovery has its use, but depositions provide a unique opportunity to get answers from a witness’ mouth, while watching how the witness responds. Before we went to trial in 2002, each of the parties would take hundreds of hours of testimony in depositions north and south, coast to coast. Discovery has become the tail wagging the litigation dog. Many lawyers who fancy themselves trial lawyers never actually go to trial, but earn princely sums con­ducting discovery. It is the bread-and-butter of large firms. Even cases that settle long before trial can generate hundreds of thousands of dollars gathering informa­tion that is never used. For discovery is not limited to the issues actually involved in the lawsuit. It includes information that might lead to the discovery of admis­sible evidence, or that might shine light on claims not yet made, but which could be made in the case. Some believe that only by getting more information than you can possibly use will you be sure to get everything you need. Not surprisingly, discovery often exhausts the parties mentally and financially. Sometimes a wealthy litigant uses discovery to drain the limited resources of its soon-to-be penurious opponent, forcing them by economic imperative into settle­ment. SRF had a lot of money and a lot of lawyers. By the end of the case, SRF was on its fifth law firm. Ananda and SRF each produced thousands of documents during the lawsuit. Hundreds of pages of original typescripts were made available in Los Angeles for review only by Ananda’s counsel, and hundreds more provided at SRF’s Richmond Temple for review by the litigation team just before trial. Scores of potential wit­nesses were interviewed, and more than a hundred ended up being used either for live testimony or by means of written declarations. Most of the leading religious experts in the field were retained by one side or the other for testimony or advice. 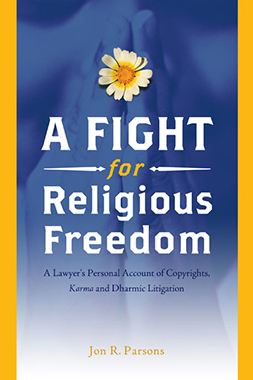 Kriyananda and Daya Mata gave days of depositions, as did Ananda Mata, Mrin­alini Mata, Uma Mata, several SRF monks, the Ananda legal team, and numerous SRF and Ananda members. Although Kriyananda had been with Yogananda for years, served as head of the monks, and was an officer and director of SRF, much was hidden from him. In the mid-1950s, after Yogananda’s passing, SRF grew increasingly secretive about him, his history, his personality, and his relationship with the organization he founded. We were able to piece together through discovery, however, the fuller picture of how Yogananda handled his copyrights and other property ownership. Yogananda paid close attention to his legal rights in the early years, but later let the details slip into the hands of others. After Yogananda returned from India in 1936 vari­ous staff members handled the copyright paperwork, and Yogananda left the me­chanics of the magazine to its editors. Yogananda’s inattention to some of these subtleties, combined with SRF’s possession of his tangible property, provided the backbone of SRF’s claims in the lawsuit. Most of SRF’s claims in the lawsuit can be summed up in SRF’s assertion that Yogananda had given everything to SRF: his physical assets, his intangible rights, and even his personal attributes such as his name, voice, and likeness. SRF claimed that in 1935 Yogananda gave SRF the exclusive right to use Yogananda’s name, voice, signature, photograph, and likeness—even though these forms of property rights would not be recognized by the California legislature for another thirty years. Many of SRF’s similarly broad assertions were inherently suspect. But each had to be investigated and disproved. We thought and hoped that discovery would allow us to put the lie to these bold but baseless claims. Paramhansa Yogananda arrived at the Biltmore Hotel in downtown Los Ange­les on the evening of March 7, 1952, keynote speaker at a dinner welcoming Indian Ambassador Binay R. Sen to Los Angeles. Moments before taking the dais on stage to join the honored guests and other speakers, he paused before the lobby fountain to allow Arthur Say of the Los Angeles Times to take a few photos for inclusion in the next day’s newspaper account. As Yogananda concluded his talk with the poem “My India,” to the dinner guests’ shock and dismay, he slipped to the floor of the stage in his mahasamadhi, a yogi’s final conscious exit from his body. When Yogananda did not return to Mt. Washington and no one else showed up to demand his things, SRF kept them. The longer SRF held on to Yogananda’s property, the more guardianship felt like ownership. Possession is, after all, nine points of the law. Gurus in the Hindu tradition typically have many followers, some of whom be­come swamis in their own right and found their own ashrams. These branches typi­cally co-exist in peace, and cooperate during festivals and other religious events. Life teachings are passed along by personal instruction from teacher to student through the guru-disciple relationship. Given this long-standing historical tradition, it would have been alien to Yogananda’s line of gurus to trust his mission to a single follower. Entrusting it to a lifeless corporation would accordingly be unthinkable. Yogananda acknowledged that his Guru’s Guru had “steadfastly refused to permit his followers to build any organization around the teachings.” Could Yogananda have changed so much? It appears he did not, and that Yogananda did not see SRF as the sole and final expression of his life’s work. During Yogananda’s lifetime his mission generated a separate organization that flourished in Washington, D.C. Yogananda had set up Brahmachari Jotin as the head of the Washington Yogoda Center in June 1928. He was so successful that his church adopted a separate identity, and name, as the Church of Absolute Mo­nism. Yogananda encouraged and spoke favorably about this organization, and in July 1941 gave Jotin his monastic vows and the name Swami Premananda. We also found that during Yogananda’s life many of the teachers affiliated with him were running virtually autonomous operations in distant cities. Others, such as Hamid Bey and Roman Ostoja, were associated with Yogananda for a number of years and then spun off on their own. Hamid Bey, for example, went on to found the Coptic Fellowship. The organization known as Yogoda Sat Sanga in the 1920s, and the Self-Realization Fellowship of the early 1930s, was a vibrant organization in constant flux. The reality of Yogananda’s existence in those days, and his relation­ship with SRF, differed much from the story SRF was now telling about a mono­lithic and regimented organization that had absorbed the guru who founded it. Yogananda had also encouraged “householders”—married disciples living out­side the organization—to have an active role in spreading the teachings. Kamala Silva, for example, a follower since 1925, who had established the San Francisco and then the Richmond Centers, had lived with her husband in the Bay Area and remained active in local Center affairs. Dr. Minott W. Lewis, Yogananda’s “first American kriyaban” was married, as was James J. “Saint” Lynn, the second president of SRF who Yogananda renamed Rajarshi Janakananda . Even Yogananda’s guru, Sri Yukteswar, was married, as was his guru, Lahiri Mahasaya. Celibacy was not a big deal until SRF tried to make it one. After Sister Daya was elected president in 1955, several male disciples left SRF to found their own communities: Roy Eugene Davis (Center for Spiritual Awareness in Lakemont, Georgia), Norman Paulsen (Solar Logos, now Sunburst in Buellton, California), Bob Raymer, and of course, Kriyananda. In addition, Oliver Black, a close disciple and dynamic center leader who had never lived at SRF, founded Song of the Morning Retreat Center, near Vanderbilt, Michigan. It was all part of the natural growth of Yogananda’s legacy, which he never intended to be expressed through a single voice or a single organization. A deposition involves a lawyer asking questions of a witness who has been placed under oath. The questions and answers are typed up in a transcript by the court re­porter, and may be used later at trial in place of warm-body testimony. A deposi­tion may last from hours to days, and we took or defended over fifty depositions in the federal case. Some, occasionally all, of the legal team attended each deposition. For years it seemed like we were always preparing for, or flying off to, one deposi­tion after another. These trips with the legal team were part working sessions and part field trips, filled with confabbing and what not. “A journey of a thousand miles begins with a single step.” The depositions began in Portland, Oregon, with an SRF member who had no idea of the role she played in SRF’s game. Both churches enjoyed active followings in Portland. Ananda main­tained a residential community with an affiliated bookstore in town, and SRF sup­ported a meditation group, of which Ms. Carolyn McKean was a member. As part of SRF’s thorough preparation of its case, she had been asked, and dutifully agreed, to give a written statement called a “declaration.” The declaration was one of many discussing how the declarant was confused by something Ananda said or did, or by its very existence. The McKean declaration stated that she was confused by Anan­da’s use of the term “Self-realization” because SRF was also using that term. The declaration’s language craftily insinuated that Ananda was pretending to be affili­ated with SRF. SRF’s lawyers prepared the declaration, had McKean sign it, and submitted the document with their application for a preliminary injunction. Garcia referred to the McKean declaration in his ruling, and appeared to be strongly in­fluenced by it. If we were to undo the injunction, the McKean declaration was the place to start. On a beautiful May morning we began this new phase of the case by deposing this sweet and gentle stranger. McKean’s deposition testimony differed significantly from the carefully cho­sen language SRF had placed in her declaration. Written declarations are always prepared by the lawyers, so all you really know is that the declarant signed the document once it was finished and placed before her. We thought SRF had been finessing certain facts, and it was time to turn the declaration’s verbiage into McK­ean’s own words. She did not disappoint. When asked the right questions, she ex­plained that she was not so much confused by Ananda as she was interested in it, and did not understand the differences between the two organizations. It turned out that no one had misled her or tricked her into doing anything. Her confusion was the product of a healthy curiosity, not any misrepresentation. Her deposition testimony did not support SRF’s claims.
. . . The declaration of Carolyn McKean, the only evidence of actual confusion presented in support of the motion for preliminary injunc­tion, has now been discredited by her deposition testimony. It was not McKean, but SRF, whose testimony had been discredited. This would not be the last time that SRF’s claims overreached its facts. McKean had begun to open Garcia’s eyes. It is typical for parties to enter into some form of confidentiality agreement, called a “Protective Order,” concerning the documents produced in discovery. It is generally a good idea to prevent the disclosure of trade secrets and leakage of sensi­tive business or personal information outside the lawsuit. The usual terms provide that when confidential documents are produced, they are conspicuously marked “Confidential.” The receiving parties and their attorney are then obligated to keep those documents confidential. Their restricted use is often detailed in the order, and when the lawsuit ends the documents are returned. We assumed that SRF would assert confidentiality concerning personnel mat­ters, financial data, and information about the inner workings of the Board of Direc­tors. But SRF had a more embracing vision of confidentiality. Everything—literally everything—about SRF was confidential, including its history, writings, and teach­ings. 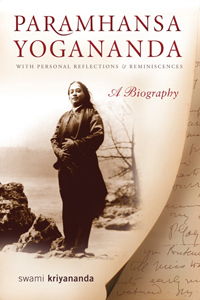 SRF claimed that every fact about Yogananda’s life was confidential. SRF’s proposed confidentiality order created two tiers of confidentiality. The most confi­dential tier, “Highly Restricted Confidential Matter,” could only be seen by coun­sel and a single representative of the parties. This ultra-secret “Highly Restricted” material consisted of “Doctrinal and theological information” and “information, not now publicly available, regarding the history of the parties or the life of Paramah­ansa Yogananda.” The world was supposed to know only SRF’s manicured version of Yogananda’s life, a reverent biography that following years of editing no longer reflected Yogananda’s electric vitality and the exuberance that drew people to him. It was a protective order, all right, protecting SRF’s assumed persona. SRF understood that maintaining its story of who Yogananda was, and what his mission meant, depended on keeping its trove of records and writings secret. For example, Yogananda completed his work explaining the Bhagavad Gita the year before his passing. In 1951 he wrote to Rajarshi that he had received the galley sheets for Spiritual Interpretation of the Bhagavad Gita, and that he expected the book out in print any day. The demands of other tasks prevented its publication during Yogananda’s lifetime, but SRF then sat on the publication for another 40 years while Mrinalini Mata claimed to be toiling away on it “day and night.” SRF only published its bowdlerized edition of the work during the lawsuit, after Kriyananda threatened to release his own version. 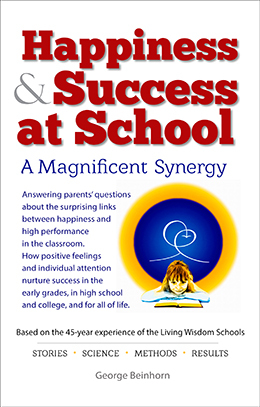 Like so many other writings, SRF released its publication as containing the “pure” writings, even though they were the product of years of heavy-handed editing. SRF could not pull this off if the public had copies of what Yogananda really wrote. SRF needed a protective order. We tried to negotiate a reduced scope for SRF’s proposed order, but the day be­fore McKean’s deposition, the court granted SRF’s request for a Protective Order in the form proposed by SRF. This order of the court from 1992, modified slightly in 2001, governs the confidential information disclosed during the lawsuit. It re­mains binding on the parties and their lawyers to the present. Because of this Pro­tective Order, the copies of Yogananda’s original writings and talks that we received during the lawsuit could not be made public, and were given back to SRF at the end of the case. Some of the key documents in the case nonetheless slipped into the public’s eye during the appeals, such as Yogananda’s two wills and the 1935 Gen­eral Assignment Yogananda signed before leaving for India. SRF had made some documents public at the time and others have turned up in private collections or on the open market. I am able to write this memoir today only because what I learned during the lawsuit led me to other sources, and to people familiar with SRF, who shared their experiences and documents. The truth is out there and publicly avail­able, but it is still hard to find. Although they delayed, dissembled, and held back, SRF ultimately produced a wealth of original documents for our review. There was something special in hold­ing those old original documents—the correspondence, the early editions of works, the fading papers of typescript—that gave the case an immediacy, a deeper reality, and a feel for the person behind the words. In college I enjoyed researching through dusty archives, finding original sources weathered with age. One of the best parts of this adventure was holding and reading the original materials written, or read, by Yogananda himself. These included tax returns from the earliest days, private letters, and confidential memos and manuscripts in Yogananda’s own hand. It was as if we stood reading over the Master’s shoulder, or listening to the flow of his ac­cented English. The typescripts of his early talks, many bearing the initials “fw” for Faye Wright, seemed to carry still something of the energy that flowed from Yoga­nanda in those days. And these many writings, transcriptions, and recordings were a small part of SRF’s hidden treasures. Every document produced gave us something new, and indicated what we should ask for next. The more SRF dug in its heels and refused to produce docu­ments, the more we knew we were getting close to something good. Slowly, over the years, we peeled back layers of information from SRF’s records. Yogananda emerged again as a charismatic and dynamic leader of SRF, and of other organiza­tions. It was becoming clear that SRF’s current argument about the role of SRF in Yogananda’s mission involved more wishful thinking than fact. People were drawn to Yogananda, not to the corporation. And the Swami could put on a show, long raven locks cascading down his shoulders and over his orange robe. There would often be some musical entertainment, and Yogananda would typically perform one or more feats of wonder, including stopping his heart, doing effort­less headstands, or conducting faith healings. There would be opportunities for the audience to come on stage and participate, and doctors to verify that he could make his pulse beat differ­ently in his right and left arms. During the Depression years he toured with a troupe that some­times seemed more vaudeville than spiritual. Hamid Bey’s specialty was being buried alive, and “Count” Roman Ostoja would stick needles through his tongue and skin. Yogananda was a spellbinding orator. In strongly accented but fluent English he would wax poetic, then practical, about Yogoda: his blend of meditation, exercise, yoga, and posi­tive thinking designed for the man on the street. It was a “practical philosophy” that everyone could use to advantage, regardless of religious belief. He told businessmen how to recharge their cosmic business batteries and women how to find their spiritual mates. Striding back and forth across the stage, he would come to a stop and stand talking where the overhead spot crowned him with a nimbus of light. America was ready for Yogoda. Celebrities and socialites signed on to tout the benefits of Yogoda and have their picture taken with the Swami. Wherever he went, photos and stories appeared in the press. He was a bona fide phenomenon. In the sadness and ceremony of Yogananda’s sudden passing, there was no men­tion of any will. As the heirs grieved and SRF grabbed Yogananda’s mantle, no one mentioned any will. But Yogananda had left a will. He had left two wills. One had been signed in 1935 before he left for India, and a second in 1936 while he was back in Calcutta. During the lawsuit SRF first denied there was any will, but eventually had to produce both of them, and then explain why they had not been disclosed sooner. Unfortunately, SRF was never called to task by Yogananda’s heirs who might have been denied their rights granted under those wills. SRF claimed that Yogananda gave it everything he owned, lock, stock and bar­rel, during his lifetime. Therefore, as SRF first explained, there was no will because there was no need for one. “Why would Yogananda need a will?” Daya Mata once asked. But when the wills turned up, they showed that Yogananda had carefully considered which organizations were to receive what portion of his estate, and SRF was not the sole object of his affection. Daya and Ananda Mata did their best to forget about the wills. It was only after losing a key motion, when further silence risked greater loss, that Ananda Mata allegedly stumbled across the first will in the basement vault. She and her sister had both been close to Yogananda at the time the wills were made, and must have known about them. But Ananda Mata blustered about her shock and surprise to now discover such an important document. When weeks later SRF’s growing need precipitated Ananda Mata’s discovery of a second forgotten will, her credibility took further lumps. Good things come in threes, and I have always wondered what a thorough search of the vault would reveal. The wills became key pieces of evidence. They showed that Yogananda thought he would own property at the time of his death, that he had actively arranged for the disposition of that property, and that SRF should have received only part of Yogananda’s estate. In addition, there was a “residue” from the wills that should have gone to Yogananda’s heirs, including perhaps his intangible rights. But no one told the heirs about the wills or their effect, and the heirs never claimed their due. Ananda Mata’s dissembling in her declarations so badly damaged her credibility that Garcia made a big deal about refusing to consider what she said in her declara­tions. The wills were extensively discussed in the first appeal, and I can talk about them now only because the court made them public during the appeals process. Welcome scraps from the table of justice. Word had long swirled down from Mt. Washington that intelligence about Kriyananda went straight to the office of the president, where Daya Mata and her sister would review it and then place it in a special “K File” they kept in the presi­dent’s outer office. The rumors proved true. Officially, SRF did not care what Kri­yananda did. Privately SRF tracked his every move and obsessed over every writing. The leadership read everything he wrote. Copies of Kriyananda’s books that SRF produced in discovery were annotated throughout by monks and nuns who com­mented on everything from subject matter to grammatical style. I had read Kriyananda’s autobiography, called The Path, accounting his own at­traction to Yogananda, his years living with his Master at SRF, and his journey onward to the Ananda Community. It was based on, and a homage to, Yogananda’s own principal work, Autobiography of a Yogi, and told of Kriyananda’s adventures through 1977. We found a copy of this book in SRF’s “K File” with detailed notes and negative comments on almost every page. Kriyananda has recently issued an updated edition, called The New Path, and I imagine it too has been annotated and shelved somewhere on Mt. Washington. The thick file, as it turned out, held nothing significant for the case. It looked like something a fan might have assembled about a matinee idol, with an attention to minutiae that spoke of fixation. Clearly people at the top of the company were still personally struggling with “K.” The current lawsuit was just another chapter in that unfolding drama. Judge Garcia presided over the course of the lawsuit, but appointed a magistrate judge to hear and decide disputes concerning discovery. Magistrate judges are ap­pointed by the local District Court judges for 14 year terms. They lack the broad judicial authority or the lifetime tenure of District Court judges. Instead, magis­trate judges are employees of the court, acting as assistants to the judges and often deciding interim issues the judge doesn’t want to handle. For example, the judge might refer the fact-finding part of a motion to the magistrate judge, who then is­sues a recommendation for the judge’s action. These recommendations are rou­tinely adopted by the judge whole cloth. We were assigned Magistrate Judge Peter A. Nowinski. We once challenged a Nowinski recommendation and tried to get Garcia to go with a different order. His Honor adopted the magistrate judge’s proposal without change, and impressed upon us the confidence he held in his magistrate judge, in a manner telling us that any further requests would be a waste of time. Nowinski decided the many discovery motions that both sides brought seeking more docu­ments, or more depositions, or fuller answers to questions. They all seemed very important at the time, and the discovery provided the facts upon which we built our later motions. But they added mightily to the cost. Before a discovery motion will be heard, the parties must agree on and submit a “stipulated” set of facts, using language agreed on by both sides. While a good idea in theory, and often workable in less contentious cases, it became virtually impos­sible for our two sides to agree on a single statement about anything. We soon ad­opted a practice where each side stated its position on each issue, and we stitched the opposing arguments next to each other. The arguments were often at cross-purposes, but Nowinski got the idea. It was not always pretty. For example, when SRF brought a motion in July 1992 to compel Ananda to provide yet further responses to yet more interrog­atories, Nowinski denied it. But he also issued an “Order to Show Cause” why SRF’s counsel and I should not both be held in contempt for our bellicose postur­ing. Counsel for the parties trekked to Sacramento, and after a sincere showing of contrite remorse for our jactitation Nowinski discharged the order to show cause and imposed no sanctions. But he sternly ordered counsel to “meet and confer” on the discovery dispute within the next twenty-one days. It was the closest we came to being officially reprimanded, but not the last time the court complained about counsels’ conduct. As we uncovered SRF’s secreted history, and understood better the relationship between Yogananda and his organizations, we appreciated how SRF was spinning that history. A strategy started to emerge. To decrease the expense, delay, and un­certainty of a jury trial, we would cut the case into bite-sized pieces, and bring a series of motions to eliminate parts of the case at a time. If we could trim the case enough, surely SRF would come to the bargaining table. A peace treaty could be hammered out allowing both organizations to coexist. During those days our goal was still to encourage settlement so that everyone would walk away from the dis­pute with dignity. To get the most bang for Ananda’s donors’ buck, we culled the complaint for its weak links. I called these its “feet of legal clay.” The complaint made sweeping claims based upon broadly alleged facts. Assuming those facts were true, the com­plaint presented a formidable aspect. But what if we were able to show that SRF could not prove some fact that was basic to its case—like the ownership of writings in which SRF claimed copyright? For example, SRF had photographic negatives, and “original prints” from those negatives, of several disputed photographs. But the 1909 Copyright Act provided that the photographer owned the copyright in a pho­tograph. We needed to put SRF to the test: prove who took the photos and how SRF obtained the copyright from that photographer. If SRF could not identify the photographer, SRF could not prove that it legally acquired the copyright. Without ownership there could be no claim for infringement or for damages. So a single fac­tual weakness might bring SRF’s mighty arguments tumbling down. We needed to understand, and then educate Garcia on, one piece of the puzzle at a time. But where to begin? The first motion or motions should attack the fac­tual assumptions of the preliminary injunction, so that favorable rulings could be folded into a follow-up motion to dissolve that injunction. The legal team played a major role in this sort of strategy decision, as well as many tactical calls along the way. These discussions were usually lively affairs with a free exchange of ideas and opinions. Kriyananda would be involved sooner or later in all important decisions, but it remained a process of consensus. It helps when you can draw from a pool of talented and motivated people, and the legal team comprised just such people. Together we focused goals and refined the approach to achieve maximum erosive effect on SRF’s claims, at a pace Ananda could afford. In motion after motion, we would roll in waves to cleanse away those feet of clay. Bubbles trying to become the sea. We did not need to win every motion, and did not expect to. Summary adju­dication motions are highly technical and formalistic. They must be planned out, thoroughly researched, and supported by well-crafted arguments that make sense viscerally as well as legally. All the required evidence must be provided with the motion, presented in accordance with the Federal Rules of Evidence, and properly “authenticated” so that the judge may rely upon it. The simplest of summary adju­dication motions can become major motion pictures, and our first motion was an epic—attempting nothing less than a comprehensive presentation on the use of the term “Self-realization” through millennia of practice in the Hindu-Yoga religious tradition. Why start small? The last time I “pulled an all-nighter” was back in college. Now, many times we worked through the night to meet filing deadlines, with the final product, warts and all, rushed out the door at the last minute to make it to court in time to be filed. These were the days before electronic filings, and once Sheila and I approved the final versions of documents and signed them, they still had to be copied, assembled, served on opposing counsel by mail or overnight delivery, and filed with the court in Sacramento. The court closed at 4:30 PM, and the traffic from the Bay Area to Sacramento was unpredictable. If papers were not out the door by 1:00 PM, all bets were off that they would make it on time. Even when the exhibits were as­sembled beforehand, putting the final package together for filing could take hours. And there were always last minute changes that just had to be made. We did our final joint writing and editing at Sheila’s apartment in the Mountain View community. Another apartment on the other side of the complex had been set up as an office with computers, tables, supplies, and a copier. This is where the final product would be printed, proofed, copied, and collated. At these tables sat ranks of stalwart souls who put together the reams of papers that made our arguments happen. Many times I shuttled the latest version of some declaration or brief from Sheila’s place to the office for printing and circulation, walking under clear starry skies in the wee hours of night. Years into the adventure, with no end I sight, I won­dered how many sleepless nights would be spent before Ananda saw brighter days. Cathy Parojinog was one of the stalwart staff who often labored through the dawn. She and I are opera fans, and our theme song those long nights became the aria from Puccini’s opera Turandot, called “Nessun dorma”—“none shall sleep.” Our hero in the story had won the princess’ hand, but then offers to release her from that bond, and forfeit his life, if she can guess his name by dawn. Desperate for time and information, the princess commands the city to wake and help her discover his name. Was our task less meaningful, if less mortal? We worked for the world, we few, we brothers and sisters in arms. That world should wake with us. Yogananda put in the hours. On those endless campaigns through one city after another, he seldom slept. In November 1927 he informed his audience at the Canopus Club in St. Paul that he “easily” worked 23 hours a day. There was so much to be done: interviews for the local papers, a luncheon talk, an afternoon tea, free lectures for six nights in a row, and then the Yogoda classes. Articles had to be written for the bi-monthly East-West Magazine. He needed to generate the articles or the presses would stop, as they did when he stayed three months in Mexico. And the books contin­ued to come out year after year, edition after edition. Songs of the Soul, a collection of spiritual poems, first appeared in 1923, and by 1926 was already in a fifth edition. The Science of Religion, his first work, went through six editions between 1920 and 1928. There were lessons for the correspondence course, new materials for the next series of classes, and the letters from devotees and supporters asking for advice and a piece of his time. Yogananda witnessed many a quiet night redden into the growl of a city waking around him.